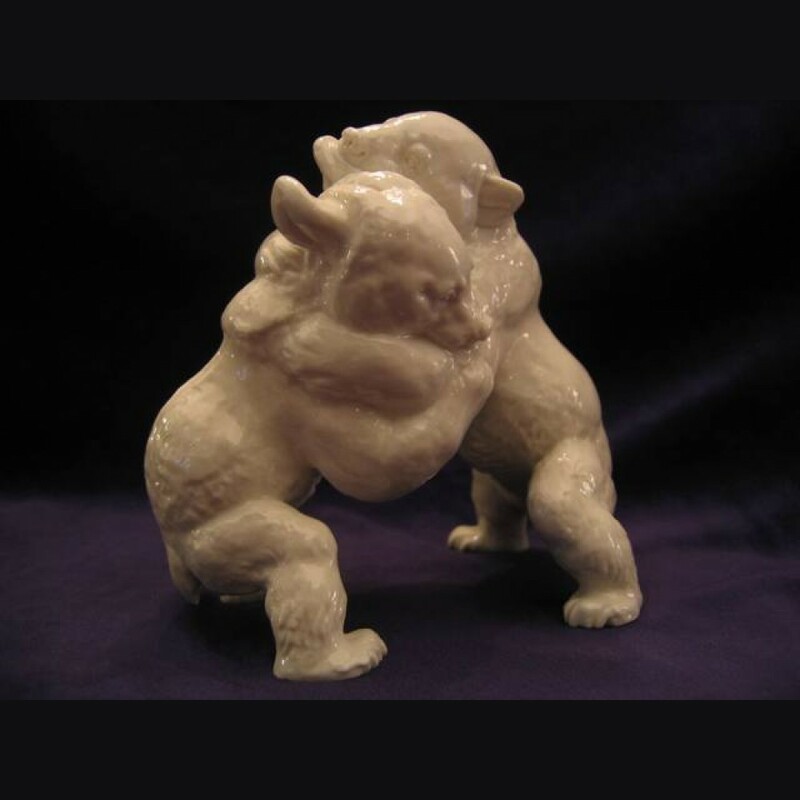 While not as popular as some of the other bears, the wrestling or fighting bear were still strong sellers. Available in both white and color like many other pieces, the white however seems to be more popular now as it was then. Uncertain of production end, but post 1939.